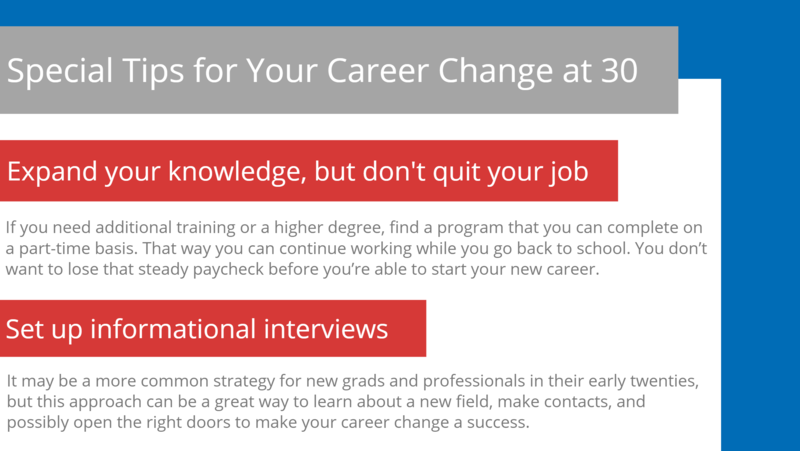 When it comes to making a career change, you don’t have to look far to find advice for career changers who are preparing for a career change or managing their career change. 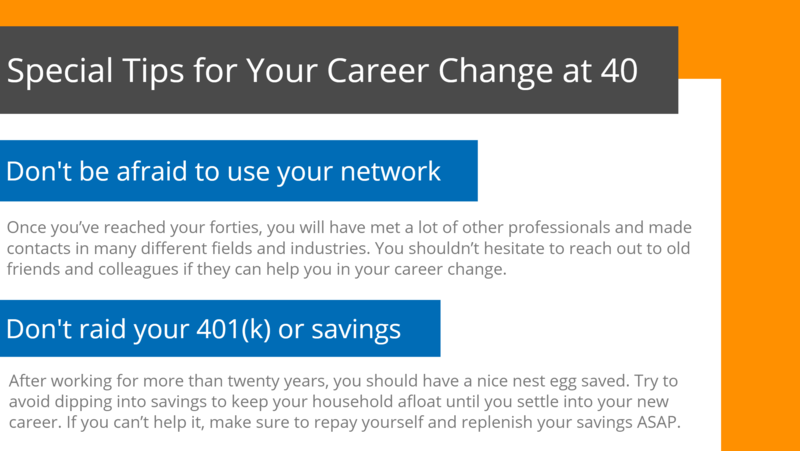 However, not all career changes are created equal – moving to a new field or industry is very different if you do it at 30, 40, or 50. 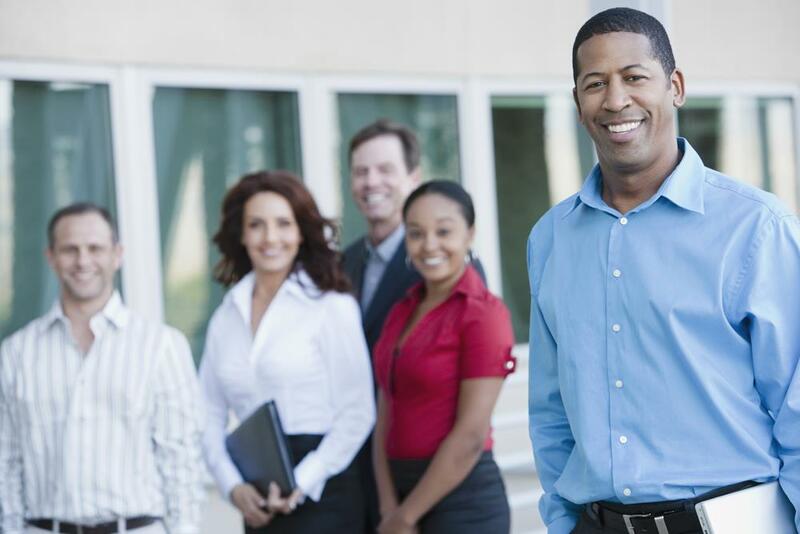 You can successfully change careers at any stage of your professional life. 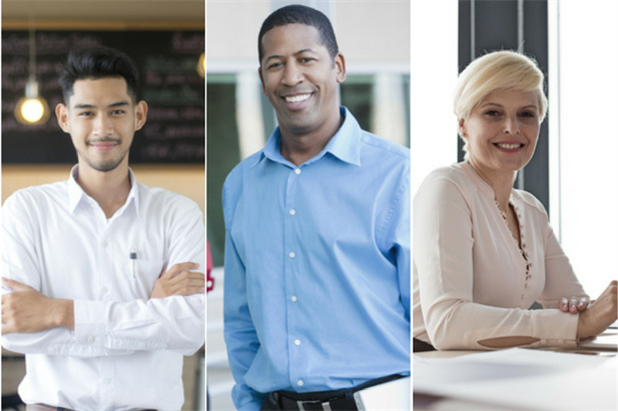 To help you along the way, we at iHire have put together special advice and some inspiration for career changers of different ages. A few decades ago, most professionals had settled into their careers by the time they hit 30, but that’s far from true nowadays. Switching careers at 30 is no big deal. In fact, Millennials change jobs an average of four times before they hit 32, according to a recent CNN Money article. The notion of “job hopping” is more commonplace and there’s less of a stigma attached to it, so don’t let that intimidate you into staying in a job or industry if you’re not passionate about what you’re doing. Not everyone knows exactly what they want to do right out of college or high school. People change as they grow older, so if you decide to reinvent yourself in your thirties, know that you’re not alone and it’s not impossible. In fact, cooking and entertaining guru Martha Stewart started her professional life as a model and stockbroker before shifting focus in her mid-thirties to her passion for decorating and gourmet food. More recent examples of successful career changes at 30 include Jonah Peretti, who left his job as a middle school computer science teacher to start new media sites Buzzfeed and The Huffington Post. Sara Blakely, the developer of Spanx, quit her sales job at 30 and started the company that would make her a billionaire. And let’s not forget Amazon founder Jeff Bezos, who launched the ecommerce juggernaut at 31 years old. If changing careers at 30 is scary, the notion of starting a new career at 40 can be downright terrifying. Peers and acquaintances will tell you that you need to focus on saving for retirement rather than launching a new career. 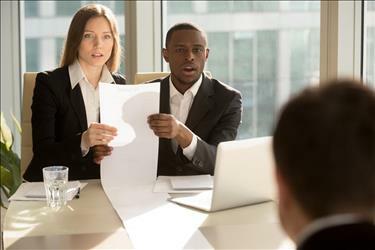 Combine that with the fact that most people have families to worry about at this stage in their lives—either raising children or supporting aging parents—and the reasons to forget about changing careers might outweigh the positives. In reality, this might just be the perfect age to make a drastic change. After being in the workforce for 20 years (give or take), you’ll have a wealth of experience that translates beyond whatever industry you’re in at the moment. You’ll also have great inspiration from the likes of Rodney Dangerfield (who returned to show business in his forties after selling aluminum siding, among other odd jobs), Vera Wang (who went from figure skater and journalist to one of the most famous women’s designers after joining the fashion industry at age 40), and Henry Ford (who formed Ford Motor Company when he was 40 years old). If you have the drive and determination to follow your dream, you can make a career change at any age. 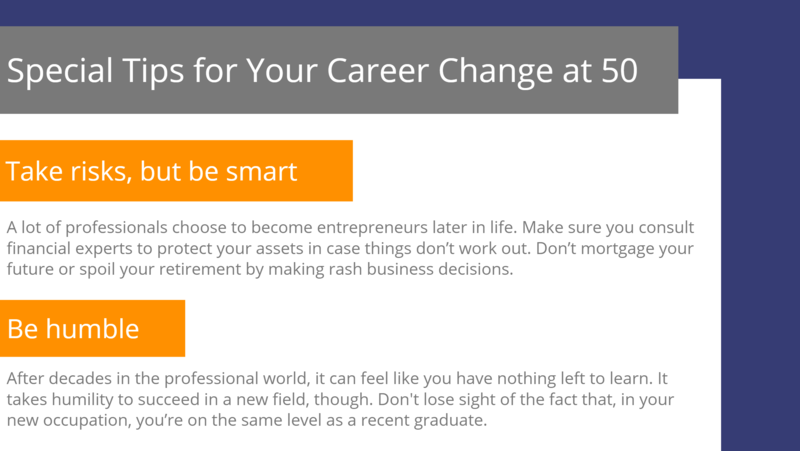 At 50, it may seem like you’re much closer to the end of your career than the beginning. In a certain sense that’s true, but if you plan to collect your full Social Security benefits, you’ll be working until you’re 67 years old. That means, if you choose to start a new career at 50, you’ll have nearly twenty years to thrive and contribute. There are some great success stories when it comes to career changes at 50 – Julia Child wrote her first cookbook when she was 50 years old, former richest man in the world Taikichiro Mori left academics for real estate when he founded the Mori Building Company at 51, and John Glenn switched from being an astronaut to a US senator at 53. But the most famous career change later in life is undoubtedly Ray Kroc’s. He spent many years as a milkshake-device salesman until he purchased a hamburger chain in 1954, which he built into a fast-food behemoth. You may have heard of it. It’s called McDonald’s. 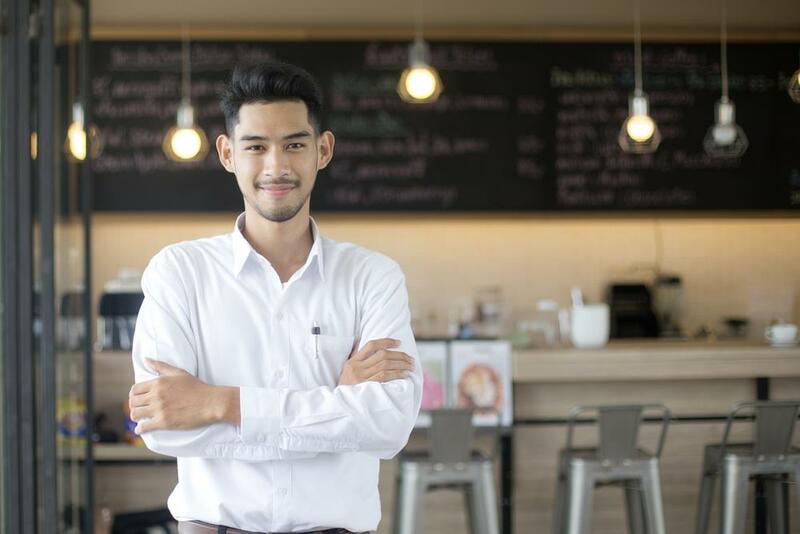 Changing careers at any age is a scary endeavor, but the best advice for career changers – whether you’re switching careers at 30 or starting a new career at 40 or 50 – is to go for it. Life’s too short to be stuck in an unfulfilling job, so research your options, see what’s out there, and discover your passion. As always, iHire will be here to help.